Thirty-seconds into the launch and roughly 2 miles above the Atlantic ocean, the shuttle Atlantis is framed by a hole in the cloud cover as it rapidly gains speed and the pressure of slamming through the atmosphere begins to build against the hull of the ship. At this point the main engines have actually been temporarily throttled down a bit to preserve the structural integrity of the ship. 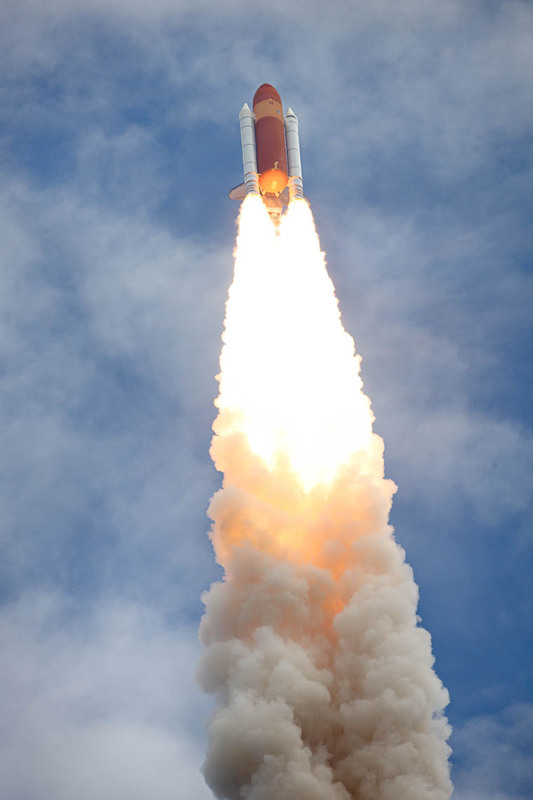 Once they are higher and the atmosphere thins enough, the shuttle can safely ramp back up to full powerâ€“at about sixty-seconds after lift-off.